1. We offer 24×7 support. We are a remote team and we are available 24×7. 2. We give you access to premium plugins. With us you’ll get premium plugins worth $1419. 3. Our customers say it. Check out our reviews on Facebook. 4. We have a White Label program. You can use us to support your existing clients without them ever finding out. YES. We are here for you any time of the day or night to solve your WordPress issues, headaches or simply to make changes or fixes to your existing site. We offer same day turn around and have a 24×7 team to offer you world class developers when you need it the most. You have many ways to contact us. Feel free to send us an Email at hello@kreativopro.com or message us on Live Chat. That depends on the job. Small changes are generally done within 4-8 hours. Larger jobs can take a day. We aim to provide same day turnaround. Small changes are “30 minutes or less” in time and are generally simple in nature. These would include things like installing a plugin, making changes to your header or sidebar or setting up redirects. It can also include adding text, changing an image, adding a page etc. Most people can submit one job per day. So if you submitted one job per day you would get around 30 jobs completed per month for one low monthly fee. Yes. We build websites from scratch. Contact us here. We are a support and maintenance company, so mostly we work with existing websites to make changes, fixes and updates. Once you sign up and your first month’s payment is processed, you’ll be redirected to a secure form. 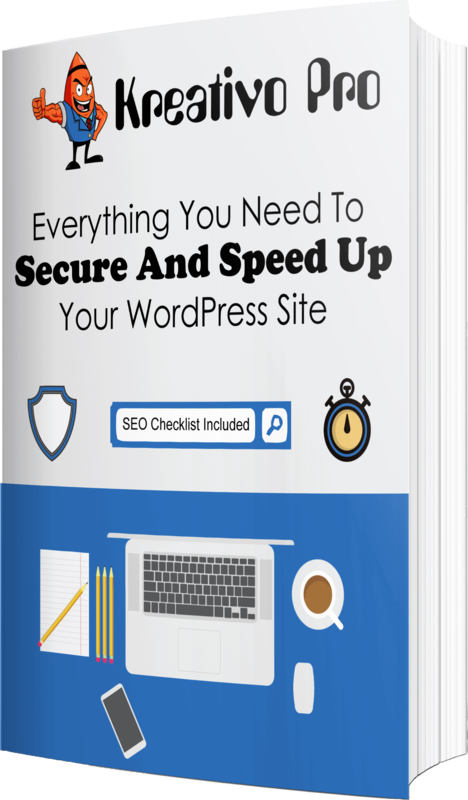 You’ll need to fill your WordPress Logins (an admin account) and also your cPanel logins. Then we will securely save that in our Project Management System. From there you can add tasks and we will then get the job done. You will receive updates at each step of the way. YES WE DO! We offer the best WordPress optimized hosting plans which will help your site run faster, more securely and easier than ever before. It also helps us get your jobs done faster and with better efficiency. We also take care of your backups (7 consecutive days) so if you ever need a restoration, it happens very fast. This is an option we highly recommend. Why do you update weekly? 1. Sometimes plugin updates come with bugs. So Known bugs are fixed by developers before we update plugins or themes for you. 2. Batching updates make better manual review. After each update, we review the sites manually to make sure everything is good. 3. Less traffic on weekends. It means minimum issues to visitors. Major plugins like Woocommerce are updated ASAP. Security releases are updated ASAP. Overall, we work in a way so that there are minimum issues for you and your visitors. What's included in unlimited edits? Most clients are fair and so are we. We can accept a job per day from you and we aim to get jobs done within the same day. We have built-in systems and procedures to make sure our staff and developers are as efficient as possible to maximize the jobs we can do for all our clients. Will you support more than 1 website? We accept all major credit cards like Visa, MasterCard, AmericanExpress and Discover. After signing up, your card will be deducted each recurring month on the day that you signed up. We use Paypal for our payment processing. We offer a 30 day money back guarantee. If you’re not satisfied within 30 days of your purchase, we’ll offer you a full refund. It is that simple! Our head office is in Rajasthan, India. However we are a remote team with members all around the globe. Which premium plugins do you offer?